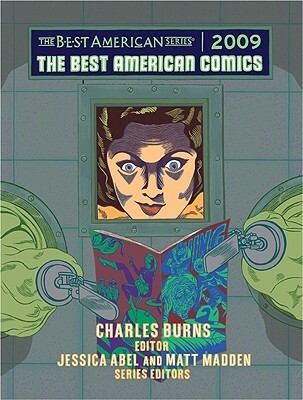 The Best American Comics 2009, the fourth installment in the series, was published today by Houghton Mifflin. The series editors are former Chicagoans Jessica Abel and Matt Madden; cartoonist Charles Burns was this year's guest editor. Along with usual suspects such as Daniel Clowes, R. Crumb, Michael Kupperman, Adrian Tomine, Art Spiegelman, Gary Panter, Gilbert Hernandez, and Chris Ware, Burns tapped Reader comics contributors Kaz (Underworld) and Tony Millionaire (Maakies), Chicagoan Anders Nilsen, and former Chicagoan Kevin Huizenga (now based in Saint Louis).